It’s August and summer is beginning to wind down. Don’t let summer end with credit scores in the same shape they were in when summer began. Good credit scores help you have financial independence. Not only are credit scores used to determine whether you’re creditworthy enough to open a credit card, get approved for a mortgage, rent an apartment or get an auto loan, but it also determines the interest rate you qualify for. Summer is a great time for festivals, food, vacations and stay-cations but you can also use this time to work on your credit and start 2016 with better credit scores. There are multiple credit scores out there, but the most common is your FICO score, which ranges from 300 to 850. A score of 720 is a good credit score and will qualify you for most a mortgage, auto or personal loans and credit cards at good interest rates. August – Order credit reports. Order credit reports. There are three major credit bureaus: Experian, Equifax and TransUnion. You can get any of the bureaus’ credit reports free at www.annualcreditreport.com and your FICO score from MyFICO.com. If you’ve been turned down for credit, employment or housing in the past 60 days, you may receive a free credit report from all of the three credit bureaus. Dispute negative information. Errors, collections, late payments, and mistakes should be disputed. Dispute with the credit bureaus or the creditors (furnishers of information) themselves. Both must adhere to the FCRA and have 30 days to investigate disputes. Handle Late Payments. Bring all late payments current and stay current. Payment history is the largest chunk of your credit score. It makes up 35% of your score; so having on-time payments is mandatory for good scores. Once an account gets to 180 days late it is charged-off. A recent charge-off is the death knell to credit scores. Late Payments on Credit Reports. You can dispute late payments with the credit bureaus to see if they are changed to “Paid/Never Late” or you can approach the creditor. Goodwill Letter. Another option would be to ask for a “good-will adjustment.” If you were formerly a pretty good customer until that hardship, write to the creditor and request a goodwill adjustment. You want to emphasize what a good customer you were and that late payments be removed from your credit reports. Here is a sample letter. Recover from Late Payments. It takes about 6 on-time payments for your credit score to recover from late payments. As you begin paying on time your credit score will improve. But make sure there are no further late payments. October – Review dispute results. Review dispute results. By now you should have the results of your dispute efforts done in July. If negative items were removed, great! You are done with disputes. If not, further work must done. Request Method of Verification. For negative items that were not removed request the method of verification. This put credit bureaus in the hot seat because they must tell you how they investigated the dispute. It has been found time and time again that credit bureau employees fail to investigate disputed data as required due to the e-Oscar system. Use Federal and State Resources. The FTC and the Consumer Financial Protection Bureau take consumer complaints. State attorneys general also take consumer complaints. You can lodge complaints about the credit bureaus and the creditor (furnisher of information). You should first be able to show what you’ve done to resolve the issue before making a complaint. State attorneys general are investigating the three major credit bureaus. And both the F.T.C. and the consumer protection bureau have credit bureaus in their cross-hairs. They can no longer break the laws and ignore consumer disputes and get away with it. November – Reduce credit card balances. Keeping a big balance on a credit card can increase your credit utilization ratio, which is the percentage of your credit limit that you use. Together with other measurements of your overall debt, this ratio accounts for about 30% of your credit score. Generally, keeping your balances to no more than 30% of your available credit limits is a good rule. But if you want to maximize your credit scores reduce your credit utilization to 7%. 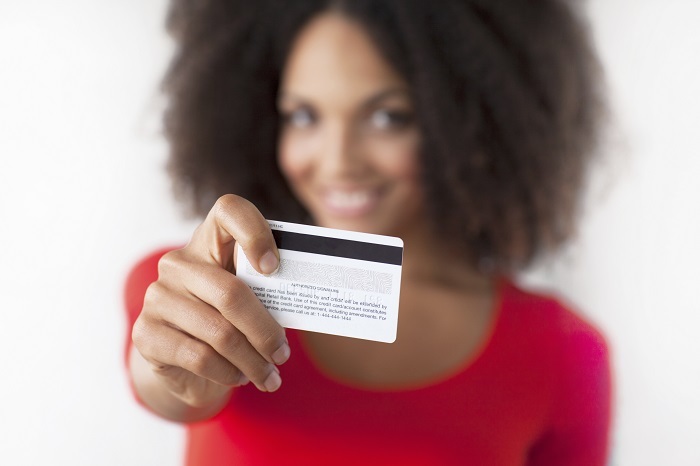 FICO says consumers with the best credit scores use only 7% of their available credit limits. December – Add Positive Credit. A growing number of Americans are ditching credit cards as they turn to debit and prepaid cards instead. But while this may keep you safe from debt, it’s not going to help your credit score. Having a few credit cards will do good things to your score as long as you don’t charge too much and if you pay your bills on time. Easy to get unsecured credit cards or even a secured credit card will help as long as they report to all three major credit bureaus. Credit scores heavily weigh the most two recent years of credit activity. You need a few positive accounts to boost your scores. January 2016 – Mix it up. There’s a difference in mortgage, auto and personal loans in comparison to credit cards. FICO scores consider your mix of credit cards, retail accounts, installment loans, finance company accounts and mortgage loans. The credit mix usually won’t be a key factor in determining your FICO Score—but using a different kind of credit can make for a modest boost to your score. Only if you can make on-time payments consider taking out a small personal loan from a credit union or online loan lender. The road to better credit does not have to take 6 months, it can be a shorter time period depending on what actions you have to take. You may only need to reduce your credit card balances to improve scores. Or, you may have several recent negatives that need to be tackled. Wherever you are, what’s important is to start now.